Bajaj Pulsar NS200 FI to Launch Soon! We were among the first to report about Bajaj Auto‘s newly launched NS200 ABS model. And now it seems Bajaj will come up with fuel injection for its streetfighter motorcycle. The new 2017 Bajaj Pulsar NS200 ABS costs Rs 1.08 Lakh (ex-showroom, New Delhi). Keeping that in mind, we are pretty sure the Bajaj Pulsar NS200 FI (fuel injection model) would cost roughly Rs 1.15 lakh. However, in spite of the price premium, one simply can’t deny the advantages of having a fuel-injected engine. It may be noted here that this motorcycle is based on the 200NS that was launched way back in 2012 and was later discontinued to make rom for the Pulsar AS200. Now, however, the NS200 looks all set to get the same FI engine that powers the RS200, albeit, in a slightly lower state of tune. The new Bajaj Pulsar NS200 FI launch could take place very soon. We are expecting a January 2018 launch date, which means the new model is merely months away from its market launch. Bajaj recently launched the ABS model of this motorcycle. The new ABS version costs Rs 1,08,000 (ex-showroom, New Delhi). Our guess is that the fuel injection will take the price further up to Rs 1,15,000. The introduction of the FI engine is sure to improve both the performance and the fuel mileage of the motorcycle. Hence, we feel it will be easy for the new bike to justify the increase in price. The Bajaj Pulsar NS200 FI will be powered by the same 199.5 cc, 4-stroke, SOHC, 4 valve, liquid cooled, single cylinder engine that powers the non-FI model. 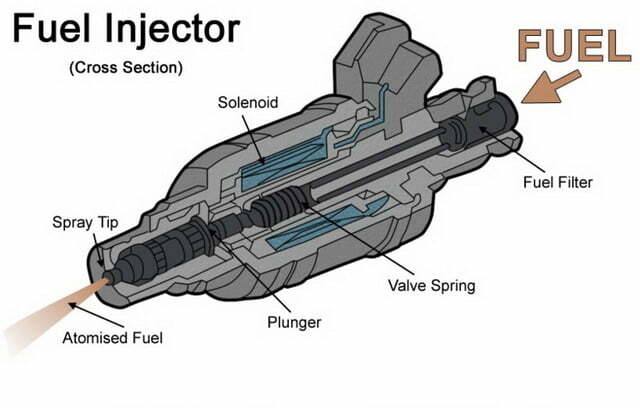 However, introduction of the fuel injection is sure to lead to gain in fuel mileage and refinement. The Pulsar NS 200 boasts conventional front forks at the front and a gas-charged Nitrox monoshock suspension setup at the rear. The motorcycle rides on stylish 17-inch mag wheels that come shod with a 100-section front tire and a 130-section rear tire. Braking duties are courtesy of disc brakes, both at front and rear. While the front disc brake has a 280 mm rotor with a twin-calliper arrangement, the rear gets a 230 mm disc with a single-calliper setup. 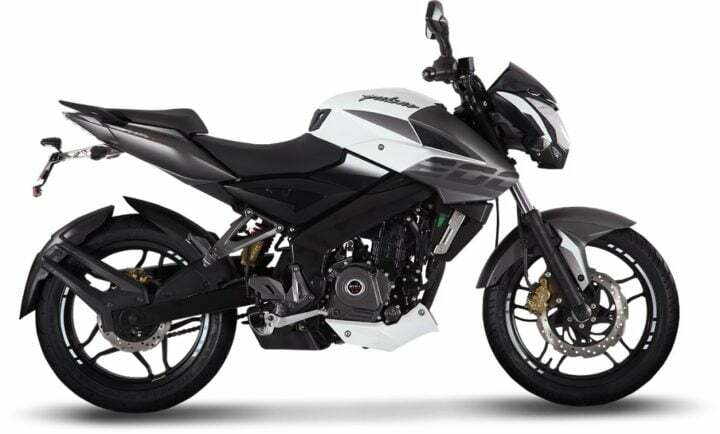 The ABS module for the 2017 NS 200 is the same unit that is also available on its full fairing sibling, the Pulsar RS200. Even the fuel injection system will come from the RS200. The addition of an FI unit should make the Pulsar NS200 FI slightly more fuel efficient. Our guess is that the bike would have an claimed average mileage of up to 55 km/l. The first-ever Pulsar to have featured fuel injection is the now discontinued Pulsar 220 FI, which was once BAL’s flagship model. However, back then, Bajaj couldn’t do a very good job at tuning the system, which led to customers facing niggling issues and the ultimate demise of the model. 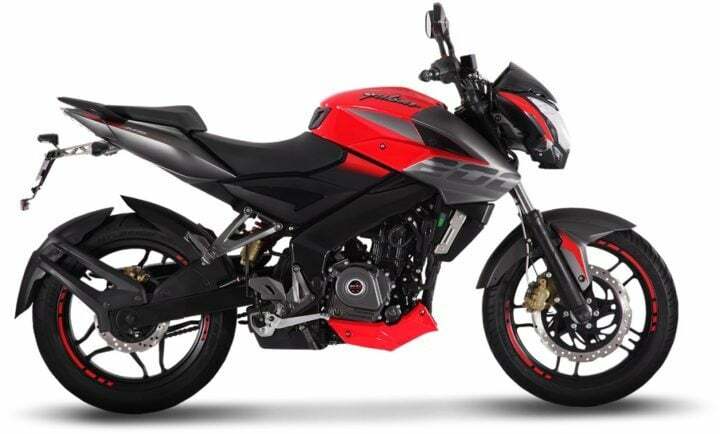 But now, with the technological advancements that Bajaj has made in recent times, the introduction of FI in the NS200 should make the prospective customers a relatively happier lot. The NS 200 FI will likely enjoy a true top speed of 140 KMPH. Of course, the speedo will probably indicate a top speed in excess of 150 KMPH, but in reality, the new motorcycle will have a top whack of close to 140 KMPH. This will be a pretty respectable figure for a bike of this price and in this segment. The current NS 200 can go from 0 to 100 kmph in just 9.65 seconds. The Fuel injection modle will be slightly quicker. This is again a pretty respectable figure for a bike of this class. The new FI model of the Pulsar NS 200 will look much like the new ABS variant. The 2017 Pulsar doesn’t look too different from the 200 NS that was launched way back in 2012. In its latest iteration, however, the bike gets more stylish due to the dual-paint colour schemes and stylish graphics. The NS 200 has always managed to impress us with its beefy design and a really bold exterior. The aesthetics seem to be inspired from the very loveable and instantly recognizable Honda CB1000R. While some of you might cry foul, we really don’t think it’s a bad idea because the NS200 looks just fantastic. Several styling bits such as an engine cowl, stylish mag wheels, racebike-inspired tail cutter, LED taillamps, dual-tone paint schemes, and stylish graphics further make the bike more attractive. The new 2017 Bajaj Pulsar NS200 is definitely among the best looking motorcycles in its segment. What are your views on the upcoming new 2017 Bajaj Pulsar NS200 FI ABS model? Do you think the addition of fuel injection would justify the steep increase in the price? Will you buy the NS200 FI over all of its rivals? Send in your answers by penning them down in the comments section below. Also, stay tuned for latest motorcycle news.